Budd nightshirts are cut generously and come to the knee. This traditional style of nightwear allows freedom of movement guaranteeing a good nights sleep after all the stresses of the day. 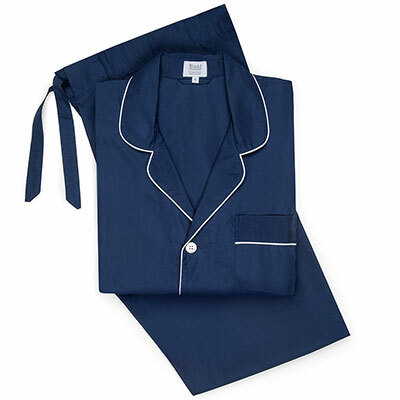 It comes in a luxuriously soft brushed cotton with stylish blue stripes, perfect for the colder months whether tucked in bed or putting on the kettle in the morning for that first cup of English breakfast tea.